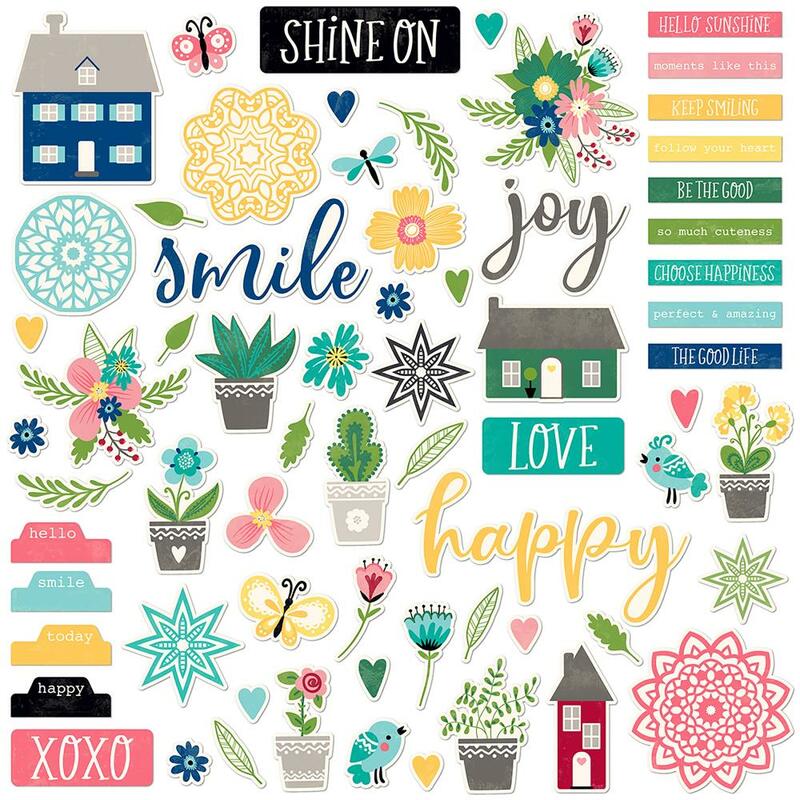 Smile Card Kit This kit makes 8 bright cards featuring papers and die-cuts from Jillibean Soup's line, MISO Happy. The kit includes white cards and envelopes, adhesive rhinestones, twine and ribbon to embellish the cards. These cards are perfect for all occasions! The cards are A2, 4 1/4 " x 5 1/2". 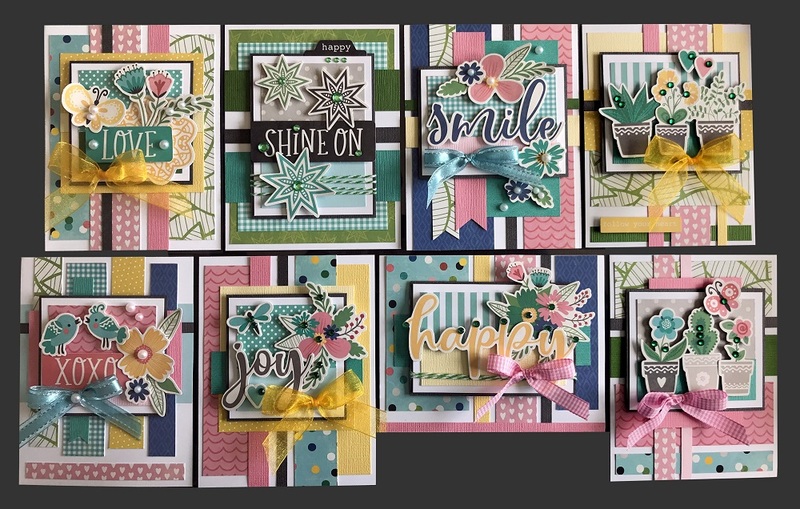 This kit includes pre-cut patterned papers and cardstock, package of die-cuts, twine, ribbon, adhesive embellishments, white cards and envelopes to make the fun cards shown.